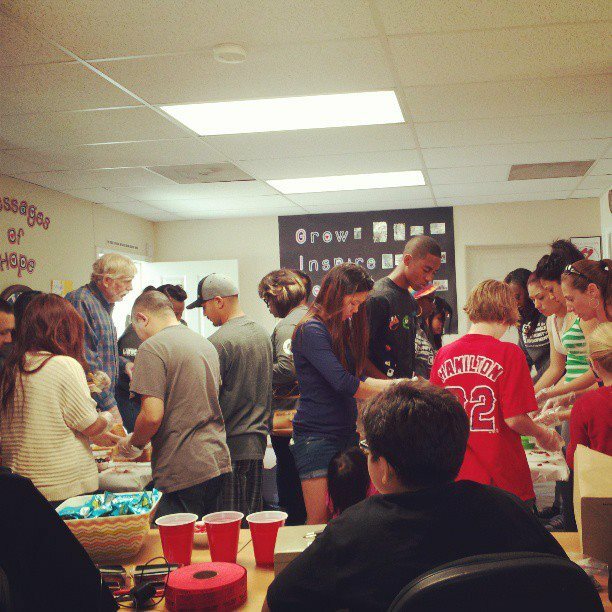 Since December 2012, we have made over 45,000 peanut butter and jelly sandwiches with the help of community members. We have hosted events at our site for the staff members and families of local businesses, at local schools, churches, schools and at our office for a Holiday event and for Global Youth Service Day. This is a great team-building and community-building event that is fun and inspiring for all ages. If you would like more information on how to schedule an event , please call us at 562-433-5100 or email us at info@loveinthemirror.org.